A LETTER FROM STEVEN GUNDRY, MD. Hello, my name is Dr. Steven Gundry – founder of Gundry MD. If you're interested in feeling more vital energy, getting your body into shape, and giving yourself the best possible chance at a long and happy life... I'd like to assure you: You are in the right place. I founded Gundry MD with one mission: To dramatically improve human health, happiness, and longevity through my unique vision of diet and nutrition. I believe I've discovered some unconventional truths about human nutrition. The Gundry MD philosophy is a radical departure from the traditional dietary “wisdom” which has failed so many Americans over the past few decades. My research may offer a breakthrough for those of you who have struggled for years with your energy levels, your body, and your health. If you've tried everything and nothing has worked… I’d like to offer you HOPE. 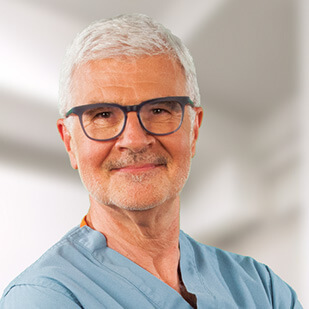 Dr. Steven Gundry: cardiac surgeon, medical innovator, author, and the mind behind Gundry MD. innovator, author, and the mind behind Gundry MD. 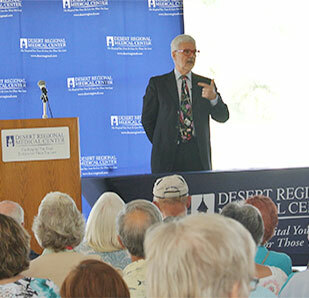 Dr. Gundry's expertise as a heart surgeon led him to new breakthroughs in full-body health treatment. new breakthroughs in full-body health treatment. For over thirty years, I have been one of the world's pre-eminent experts in heart surgery. My experiences took me to new frontiers of medical science. I was a driving force behind major breakthroughs in medical technology and surgical procedures – breakthroughs that revolutionized the way doctors save lives. But back in 2001, while I was Head of Cardiothoracic Surgery at Loma Linda University, I was asked to treat a chronically ill, overweight patient. This man was considered a hopeless case, someone who couldn't be helped even by surgery. But "hopeless cases" have been a specialty of mine over the years, and I was willing to take on this man's challenge when no one else would. I discovered that the patient had actually reversed his heart-threatening symptoms – symptoms he was told were inoperable – with nothing but a combination of natural, dietary nutrients. This led me to pursue further research of my own. The conclusions I made were unmistakable... and they led directly to the foundation of Gundry MD. The key to strong, sustainable health lives in all of us... in the form of beneficial microbes. These "good bacteria" are in danger of dying out, due to dietary and environmental issues that overload our systems with threatening “bad” microbes. Once you begin taking care of your “good” microbes – or, as I like to call them, “your gut buddies” – you can begin an incredible transformation. And I know... because it worked for me. When I first met this “lost cause” patient, I was seriously overweight myself. I had high blood pressure, “bad” cholesterol, all the warning signs for oncoming diabetes and heart disease. I worked out regularly and tried to watch my diet, but I was still struggling with my weight. But by following the principles of my new research – a study I am now calling “Holobiotics” – I lost 70 pounds in just one year. Dr. Gundry holds patents on several life-saving medical devices. His new research in the field of "Holobiotics" helps patients get healthy without surgery. This is why, in 2002, I left my former position at California's Loma Linda University Medical Center, and founded The Center for Restorative Medicine. I have spent the last 14 years studying the human microbiome – and developing the principles of Holobiotics that have since changed the lives of countless men and women. My center – based in Palm Springs, CA – is devoted to teaching patients how to live healthier lives through diet and lifestyle choices. My ultimate vision is to help them avoid the kind of surgeries I performed for over three decades. And the rest of the medical world is still catching up. It took me over 30 years of working with the toughest cases to make these new discoveries. I created Gundry MD to share them with you. You see, while I'm able to serve a few hundred patients a year at my medical centers, I know my reach is limited. In fact, I currently have a 6-month waiting list for those who wish to see me in Palm Springs. I love seeing patients personally, but I don't want you to have to wait 6 months. I don't want you to wait even one week to take advantage of the discoveries that have been life-changing for many of my patients. With that said, welcome to Gundry MD! I'm honored to have you here, and it is my pleasure to guide you toward a healthier, fitter, and happier future. Joined his colleague, Leonard Bailey, to perform more infant and pediatric heart transplants than anyone else in the world. Pioneered the science of interspecies heart and tissue transplants, and kept a baboon alive with a transplanted pig heart for 28 days – a record for this type of surgery. 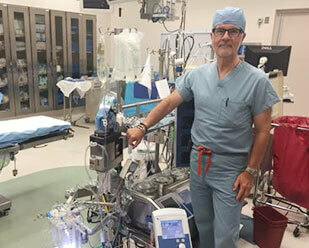 One of the first twenty surgeons to test the implantable left ventricular assist device, a type of artificial heart. Operated in more than 30 countries, including charitable missions to China, India, and Zimbabwe. As consultant to Computer Motion, was one of the first surgeons to receive FDA approval for robot-assisted minimally invasive surgery. Consultant to self-improvement guru Tony Robbins, Oscar-winning actor Alan Arkin, and Emmy Award-winning actress Sela Ward. The Gundry Retrograde Cardioplegia Cannula, the world's most-widely used device for preventing cell damage during open heart surgery. The Skoosh Venous Cannula, the world's most widely-used data and fluid transfer tube for minimally-invasive heart surgery. The Gundry Lateral Tunnel, a “living” tissue that can rebuild parts of the heart in children with severe genetic heart defects. The pioneer of the Gundry Ministernomy, a now-widespread method for minimally-invasive heart valve repair. Fellow of the American College of Surgeons; the American College of Cardiology; the American Academy of Pediatrics; and the College of Chest Physicians. One of only 500 Fellows of the American Surgical Association. Author of more than 300 chapters, articles, and abstracts in peer-reviewed journals on surgery, immunology, genetics, nutrition, and lipid investigations. 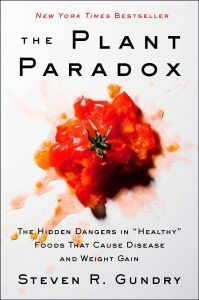 Author of The Plant Paradox, which topped the New York Times Bestseller list for 13 consecutive weeks and sparked a “lectin-free diet” movement all across the world. Dr. Gundry's Diet Evolution: Turn Off the Genes That Are Killing You and Your Waistline. 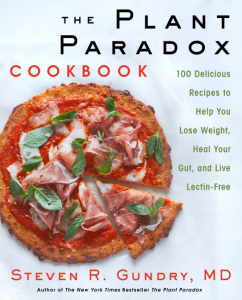 Author of the New York Times bestseller, The Plant Paradox Cookbook, which offers plenty of lectin-free recipes to make eating “The Gundry Way” easier — and tastier — than ever. It's the concept that guides Dr. Gundry's “Diet Evolution” system, and all the supplements and products he's designed to support it. It's based on the belief that true health only happens when you're living in a state of cooperation with the trillions of tiny microbes that live everywhere in, on, and around your body. Think of your body like an apartment complex. You're the landlord, and these trillions of tiny bugs are your tenants. Some of those bugs are “good” tenants: managing your digestion, helping energy move throughout your body, and powering as much as 80 percent of your immune system function, to keep you from getting sick or infected. But your body is also home to “bad” tenants: lectins (plant-based proteins that harm proper cell function); pathogens (bugs that cause illness and infection); and gut yeasts (which harm healthy digestion and help make you overweight). 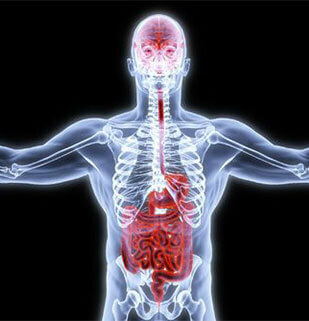 HOLOBIOTICS: Your body and its "bugs" working together to give you optimum health. together to give you optimum health. and keep you from feeling your best. 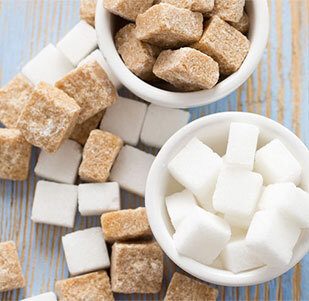 Sugar and other sweeteners endanger your "good"
bugs and keep you from feeling your best. Naturally, you don't want these “bad” bugs running the show. But when you feed them unhealthy foods like sugars, artificial sweeteners, and preservatives, this makes them stronger. These foods help them kill off the “good” bugs...and turns your body into the kind of “building” where only bad bugs would want to live. To restore your body to optimum health and wellness, you need to be sure you're taking care of your “good” bugs. Every product from Gundry MD is designed with this purpose in mind...whether it's a nutritional supplement for keeping the bugs in your gut powerfully effective...a skin treatment to nourish the healthy bacteria that live on the outside of your body...or any of the exciting new products currently in the works in the Gundry MD labs. That's holobiotics. It's all about taking care of your good bacteria. Because if you take care of them... they'll take care of you.